Mr. Teruhiko Okada worked at the City of Yokohama for more than 40 years. He previously worked for the Health and Social Welfare department of the City of Yokohama before being appointed as the Head of CYO. Mr. Kendra Hirata has worked in both the private and public sectors for several years conducting trainings and managing of development projects. His previous experience includes leading a Japanese non-profit organisation, conducting projects in developing countries, as well as several years of living and working in both developed and developing regions. He brings a balanced perspective and has passion for developmental works. 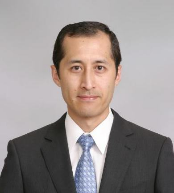 He previously worked for the CITYNET Secretariat in Yokohama and was assigned to his new position upon the Secretariat’s relocation to Seoul. He continues to provide his expertise and plays an advisory role to city leaders by developing meaningful projects and capacity building programs on DRR, Education, Environment, and Public Health in the Asia-Pacific region. Ms. Yuiko Funaki joined CYO on April 1st, 2018. She was engaged in the academic exchange programs for higher education, media liaison and the accounting section of Yokohama City before joining. 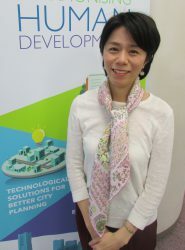 She is looking forward to working closely with CITYNET members to promote international cooperation. Mr. Oki comes with a background on Disaster Risk Reduction Management area with the most recent work as a special advisor at Disaster Risk Reduction Group of JICA. He also has 10 years working experience at Tokyo Fire Department and provides valuable inputs to the DRR works of CYO. His role at CYO is to assist implementation of programs and activities on all areas of needs as requested by members of CITYNET and not limiting to DRR. Ms. Sachiko Ohtake’s long experience with managing CITYNET accounts and finances has been a vital contribution and continues to be an asset to the office.